Tapping into her Native-American heritage and deep passion for the environment, Emily Arthur is one of the most exciting and progressive printmakers working in the US today. Endangered focuses on the California Gnatcatcher, a small bird that has become the crux of a battle between environmentalists and developers. 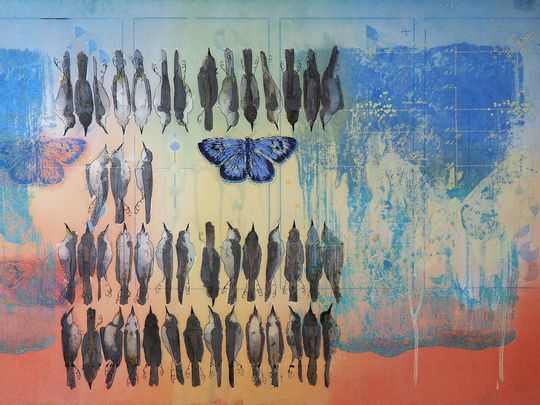 Using the Gnatcatcher as a representative of larger national issues, Arthur employs multiple images of birds, butterflies, maps, charts, and flora to emphasize the inherent value of a healthy, vibrant ecosystem.